I love when I find that game that is just right. The one that is loved by everyone, yet can be played alone. That game that requires thought and logic and is challenging for multiple ages, yet is fun. When you find that game you have to share it with other moms! 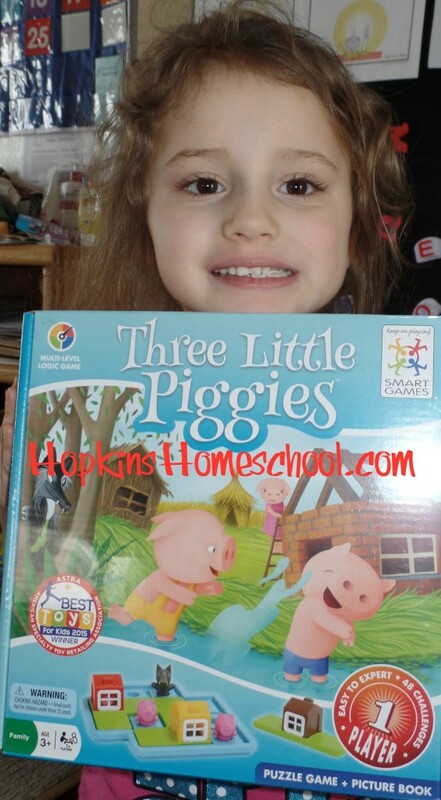 Today I want to tell you about the Three Little Piggies Smart Game that we had a chance to review from Timberdoodle. 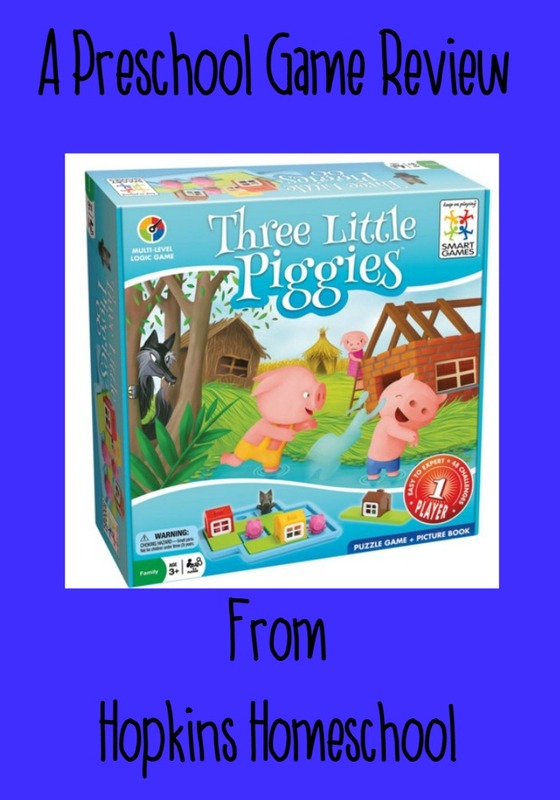 Three Little Piggies Smart Game is a great logic game for preschoolers, ages 3-6 years, but I have seen EVERYONE in our house play this game! While this is for one player, the kids, and dad, like to work together to solve the problems. From the first day that Three Little Piggies arrived in our house, we have had someone playing with the game every day. Both Little Miss and Ray Ray were taking turns for over an hour as soon as I took this out of the package. It was one of the few times that I had ever seen them get along like they did. I was one happy momma! The way you play this game is super simple. You decide if you want a daytime challenge or nighttime challenge first. After that, you need to pick your level. The levels range from starter, junior, expert and finally master. During the day, you only play with the pigs. 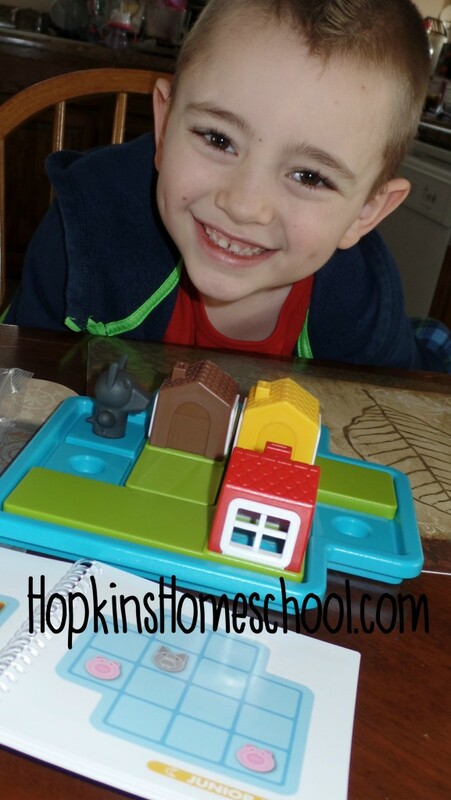 Your challenge is to fit the puzzles pieces around the pigs so that they remain outside. But when it comes to the nighttime, you need to get those houses over the tops of the pigs and hide them from the wolf. This logic game is intended to help your child think outside of the box. They are in charge and at 4 years old, Little Miss is in LOVE with the simple instructions and knowing there is a game on the shelf she can pull off and play when she wants to, not when it is easy for everyone else. This is a wonderful thing for mommy when she is busy with the big boys and their school yet want Little Miss to do something other than watch the TV. The quality of this game is wonderful! It has withstood all four of the kids, yes Baby Girl has had her hands, and mouth of this game! While this game is fun and easy to handle as an older child and adult, it is also bulky enough to let the baby play with and have no worries about her with it. This is a bonus for when you have kids of multiple ages, yet still close in age. I don't want to forget to mention the super cool wordless book that comes with this game. 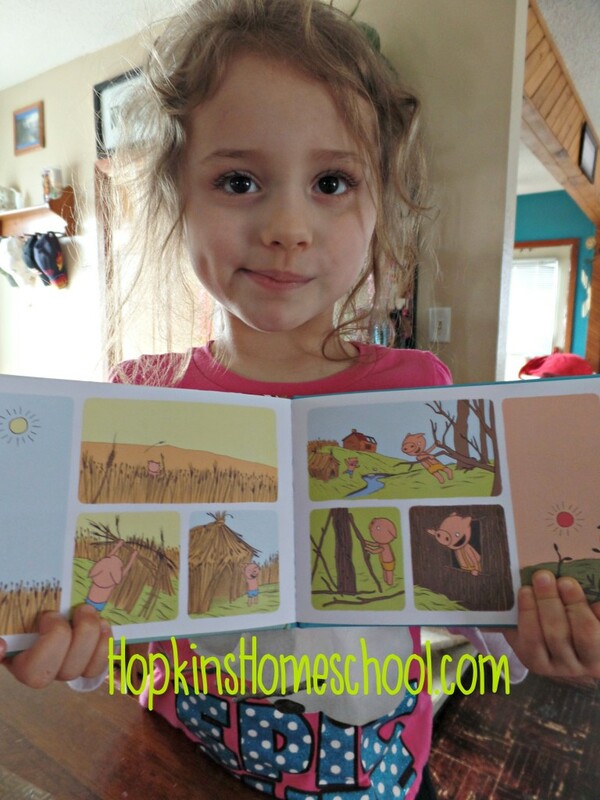 It is the book of the three pigs, but this wordless version made it possible for Little Miss to "read" it to Baby Girl. She never gets to read to her sister, but with this, she was the rockstar sister! And her confidence went through the room, along with her smile! 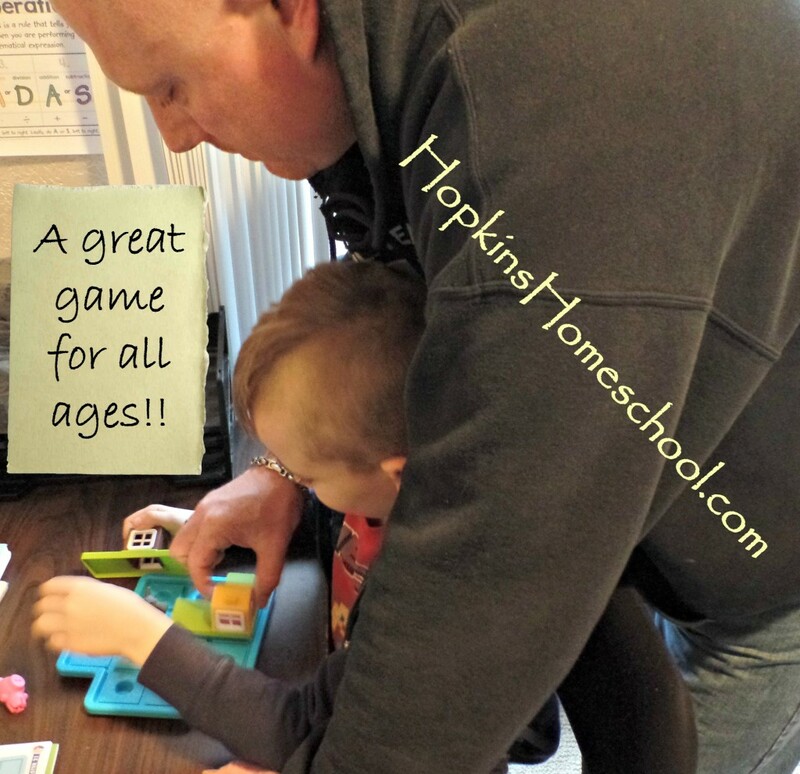 We love having this game on our game shelf and we love knowing that while it is fun, it is educational as well! We are learning more than just counting when we play this game, we are learning a whole new way of thinking! Stop by and check out Timberdoodle on Facebook, Twitter, Instagram and Google+. Let them know that I sent you their way!! What is your favorite game to play with your younger crowd? Disclaimer: I was given this product for review. All opinions are 100% mine.